^ a b c d e Rule 52. 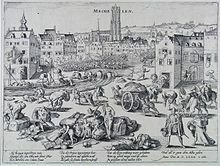 Pillage is prohibited., Customary IHL Database, International Committee of the Red Cross (ICRC)/Cambridge University Press. ^ Henry Hoyle Howorth History of the Mongols from the 9th to the 19th Century: Part 1 the Mongols Proper and the Kalmyks, Cosimo Inc. 2008. ^ John K. Thorton, African Background in American Colonization, in The Cambridge economic history of the United States, Stanley L. Engerman, Robert E. Gallman (ed. ), Cambridge University Press, 1996, ISBN 0-521-39442-2, p. 87. "African states waged war to acquire slaves [...] raids that appear to have been more concerned with obtaining loot (including slaves) than other objectives." ^ Sir John Bagot Glubb, The Empire of the Arabs, Hodder and Stoughton, 1963, p.283. "...thousand Christian captives formed part of the loot and were subsequently sold as slaves in the markets of Syria". ^ （ポーランド語） J. R. Kudelski, Tajemnice nazistowskiej grabieży polskich zbiorów sztuki, Warszawa 2004. ^ “MIĘDZY MODERNIZACJĄ A MARNOTRAWSTWEM” (Polish). Institute of National Remembrance. 2005年3月21日時点のオリジナルよりアーカイブ。2018年12月4日閲覧。 See also other copy online Archived 2007-04-26 at the Wayback Machine. 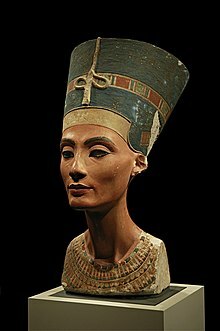 ^ （英語） “Top 10 Plundered Artifacts – Nefertiti's Bust”. www.time.com. (2009年3月5日). http://www.time.com/time/specials/packages/article/0,28804,1883142_1883129_1883119,00.html 2009年8月27日閲覧。 "German archaeologist Ludwig Borchardt ... claimed to have an agreement with the Egyptian government that included rights to half his finds ... But a new document suggests Borchardt intentionally misled the Egyptian government about Nefertiti." ^ Hevia, James Louis (2003). English Lessons: The Pedagogy of Imperialism in Nineteenth-Century China. Durham; Hong Kong: Duke University Press; Hong Kong University Press. ISBN 0-8223-3151-9. .
^ MacKay, Robert (2002). Half the Battle: Civilian Morale in Britain During the Second World War. Manchester University Press. p. 84. ISBN 0-7190-5894-5.